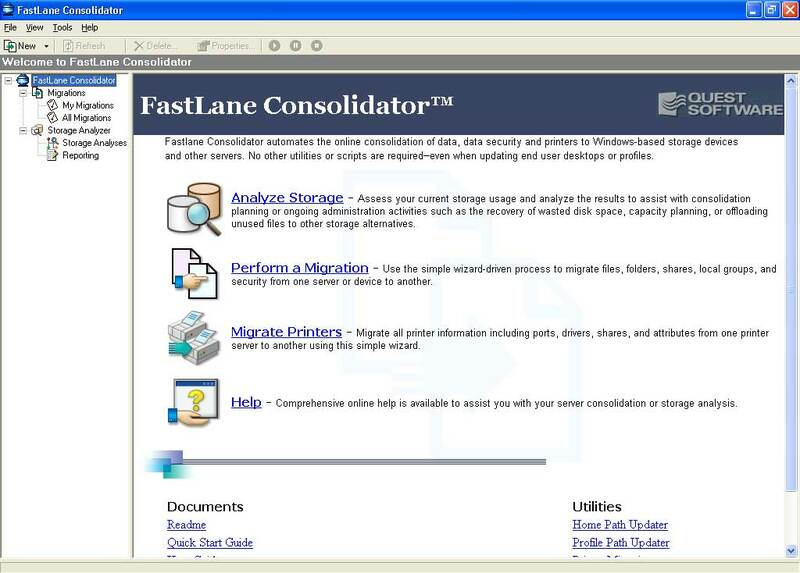 Five tools that promise to speed and ease Windows 2003 file and print migrations. Which one is the very best? 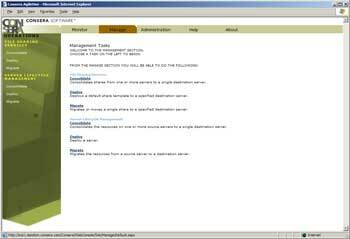 Security Principal Migration.Migrating users and computers from the NT Security Accounts Manager (SAM) database to Active Directory or upgrade of the domain controllers and directory restructuring (if required) if migrating from Windows 2000 Server. Member Server Migrations. Migrating all services found on member servers including file, print, management and other services. This includes special products such as Exchange, Site Server, and other BackOffice services. PC Migrations.Migrating PCs from obsolete operating systems such as Windows 98 and NT to Windows XP. This will also involve capturing and restoring user data and preferences or profiles as well as repackaging all software products to take advantage of Windows Installer technology. Application Migrations. This involves mostly conversions or redevelopment of both rich client and Web-based in-house applications. Many migrations don't necessarily follow this order. That's the beauty of the Windows environment: There's always more than one way to do something. So far, MCP Magazine has covered a series of different migration steps, including security principal migrations and Exchange Server 2003 migrations. Since application migrations tend to be rather particular to each organization because of the very nature of the internal applications they run, it is difficult to discuss this process fully, though there are special products that ease the application migration process. But one aspect of migration that is critical and that depends on the proper migration of security principals is the migration of both file and print services. By their very nature, Windows NT networks tend to be highly distributed. Somewhere, the industry got the feeling that if you needed more services from Windows NT, it was easier to simply add a new box to the network than to try to get multiple services to cohabitate on the same server. Well, Microsoft has gone a long way to help dispel this myth, not only by providing valuable information on how servers should scale up, but also by making Windows code faster and more robust. Today, Windows Server 2003 can easily run several thousand printers on one machine or store terabytes of information in a single cluster. That's why many organizations seriously consider server consolidation when it comes to the migration of both file and print services. Not to mention that the more boxes you have, the more complex they are to manage and patch. In addition, Windows Server 2003 includes an entire series of new features in support of both file and print sharing. The Volume Shadow Copy Service (VSS) service for example, is an excellent addition to any network. That's because one of the features of this service is to create snapshots of the files on your servers at regular intervals, taking two snapshots per day by default. By deploying the Previous Versions client to your client systems, you can vastly relieve the help desk from having to perform file restores since users can then perform their own restores 90 percent of the time. This service alone may justify a migration from NT or even Windows 2000 to Windows 2003. In terms of printing, Windows 2003 now supports many more print queues per server than ever before and because it blocks the installation of kernel mode print drivers by default, it ensures that jammed print queues will not affect the overall print server itself. Another good reason to move to Windows 2003. 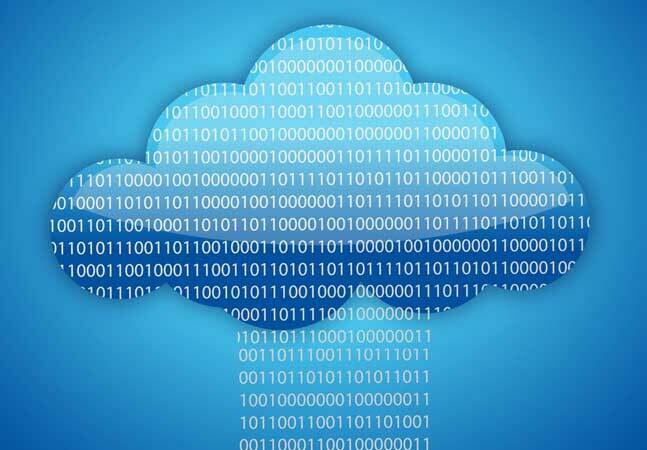 Migrating networked user data involves the copying of data found on server shares within the legacy network to new shares on the target network. The most complex operation will involve the migration of home directories to folder redirection. That's because there is a catch: redirected user folders are not created until the user has logged on at least once-in fact, three times before the redirection process is complete because of Windows XP's Fast Logon Optimization. You cannot simply move the user's home folder files from one server to another because the user's destination folder won't be created until later. Thus, you must devise a special personal user data migration strategy. You might, however, consider turning off Fast Logon Optimization for the duration of the migration in order to simplify the creation of redirected folders. To turn off FLO, assign the following setting to a Group Policy that affects all migrated users: Computer Configuration | Administrative Templates | System | Logon | Always wait for the network at computer startup and logon, and enable it. Remember to disable it once the migration is complete. First, you can ask all users to move all of their home directory files into their My Documents folders on their desktop. Then, when they migrate to the new network and log on for the first time, the contents of their My Documents folders will automatically be moved to the new shared folder thanks to the Folder Redirection Group Policy. This process will require two additional logons before completion if you are using Fast Logon Optimization. Second, if you need to stage PCs because they are not running either Windows XP or Windows 2000, you can add an operation to the User State Migration process since it will be required on all systems. The operation you need to add is similar to the first approach: script a process that takes all of a user's home directory data and copies it to the My Documents folder before performing the backup portion of the User State Migration Tool (USMT). The data will automatically be redirected when the recovery portion of the USMT runs at a user's first logon to the new network and the Folder Redirection GPO is applied. Third, you can migrate data to a holding folder and using a special one-time logon script, move the files to the user's newly created redirected folder once the user is logged on and the Group Policy has been applied. Of these three strategies, the third is the best though it requires operations that occur during a user's first logon. The first would also work, but it has a major flaw: you must rely on operations that are out of your control for the process to complete. It will only work if you have a well-trained user base and you provide them with excellent instructions. The second only works if users' PCs must be staged. Thus, if your network does not meet these two conditions, you must use the third option. C: drive as the system disk. D: drive as the data storage disk. E: drive as an optional disk for servers hosting database applications. In the Microsoft world, this includes servers hosting Active Directory (domain controllers), SQL Server, Exchange and SharePoint Portal Server. This disk is used to store transaction journals for these database applications. For file servers, it can be used to store the shadow copies generated by the server since they should be on a separate disk. F: drive The DVD/CDRW server drive. You may or may not agree with this structure, but one caveat remains in any information technology (IT) infrastructure: Keep it simple. It's always easier to manage in that case. 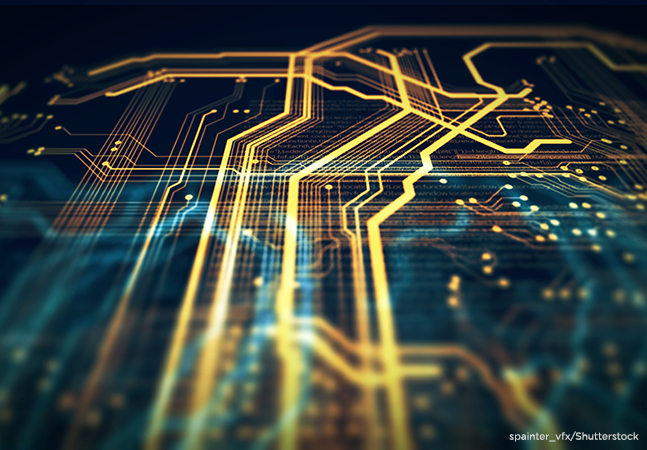 Whatever your logical drive structure, it is obvious that the disk that will require the most complex folder structure will be your data storage disk or drive D:. This disk should include a master folder for each of the different data types it will store. 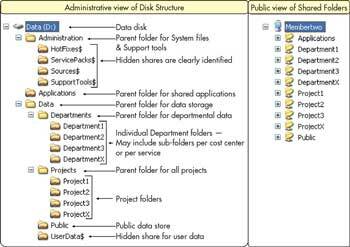 In addition, it is a good idea to structure the disk folders according to content. 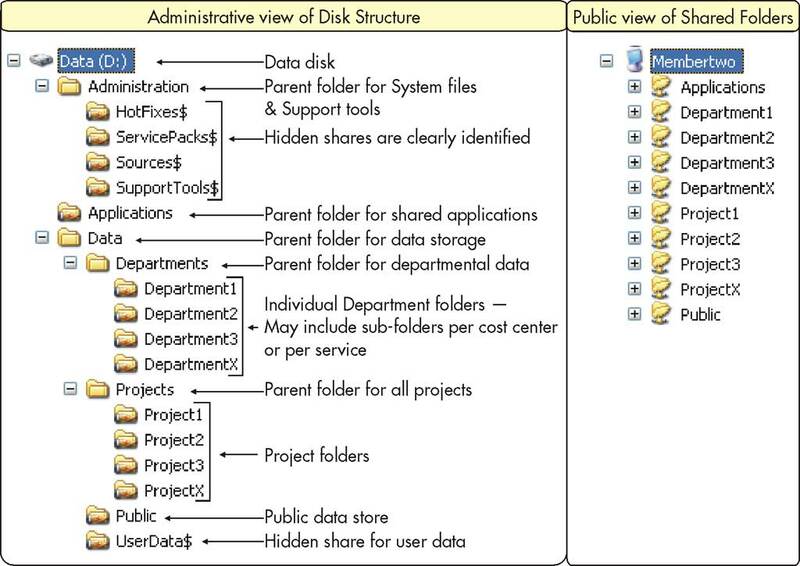 Thus, the D: drive could contain a folder structure in support of eventual file shares (see Figure 1). This folder structure must support several different types of shares (see "The Testing Environment"). The migration of distributed storage in legacy networks to this new disk and shared folder structure must support several activities (see Table 1 later in this article). For example, it must automatically reassign proper security rights within the target network so that users can continue to access their data. Ideally, the file migration tool would either support parallel access to both the source and target servers until the migration is complete or provide a cut off method to warn users their files have been migrated. It should also support the verification and modification of access control lists (ACL) in the target network to remove legacy permissions to the files. In the case of a migration, this means the tool will support security identifier or SID history since user accounts acquire new SIDs when moved from an NT domain to an Active Directory. Once files are moved and permissions are updated, the migration tool must support the modification of user settings on local PCs. If at all possible, it will perform this task automatically or with little administrative effort. This migration tool must also support special file formats such as files that include password protection, or if migrating from a Windows 2000 network, files that have been protected with the Encrypting File System (EFS). 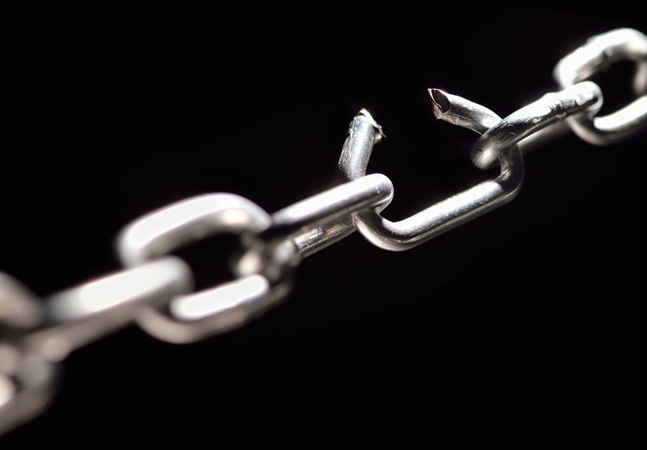 A two-way trust must be set between the source and target domains. In addition, administrative groups from the target domain must be integrated to the administrative groups from the source domain, otherwise migrations may fail. File servers will be centralized and clustered. This should give T&T the opportunity to reduce the number of file servers to 10 clustered servers supporting a central data storage area network. Reports will be generated on file usage in order to identify unused network data. This will further support the consolidation by letting T&T archive any unused data and simply delete data that is identified as not required. Home directories will be replaced by folder redirection. This means that users must log into the Active Directory at least once to have the folder redirection Group Policy automatically create their new redirected My Documents folder. Once this is done, files can be moved into the new folder (see Transferring Networked User Data). Mapped drives will be replaced by a domain-based distributed file system (DFS) strategy. This will mean the migration must include a user information program since they will need instructions on how to use the new DFS structure. Reports will be generated on print server usage to identify any obsolete or unused printers. This should help the printer consolidation process. Print servers will also be centralized and clustered. All printers are to use user mode drivers so a conversion of drivers from the NT kernel mode is required. Printers will use printer location tracking to facilitate printer searches by users. This means that sites, printers and computers will need location information in the directory. In the very best scenarios, this tool should support advanced Windows Server 2003 features such as single instance storage or the ability to store only one instance of the same file on a single server, and the network attached storage version of Windows, Windows Storage Server 2003. In the best migration scenarios, the tool you select should also support the migration of content from a standard file share system to a consolidated distributed file share (DFS) system since DFS has been designed to eliminate the need for mapped drives. Finally, it should help you move from outdated home directories to the more advanced folder redirection supported by Windows Server. For printer migration, the tool must be able to support both the migration of a print queue including printer drivers from one server to another, as well as the redirection of print queues on client computers. Since Windows Server prefers the use of user mode drivers over kernel mode drivers for increased server stability, the migration tool should be able to convert the driver or at the very least warn administrators if kernel mode drivers have been migrated. Administrators should endeavor to remove any legacy printers requiring kernel mode drivers from their network since these can block and hang a print server, even a clustered print server. Finally, the tool should support printer publishing in Active Directory and the implementation of printer location tracking to facilitate printer searches in the directory. These are the parameters used to evaluate the five tools reviewed here: Quest Consolidator, Aelita Server Consolidation Wizard, ScriptLogic Secure Copy, PointDev Ideal Migration, and Consera AgileOne. Each has its strength and weaknesses. Results are tallied (see Table 1) and recommendations are outlined based on the requirements you may have for file and print server migration. Quest Consolidator includes two basic components: a client and a server. The client is designed to install on source servers to perform migration operations as dictated by the server component. At least one server must be installed before any clients can be deployed. The server includes a central migration database along with migration schedules. Supported databases include the Microsoft SQL Server Desktop Edition or SQL Server. Both version 7 and 2000 are supported. Migrations can all be run from the server so clients are completely optional. Consolidator is composed of two elements: the actual consolidation tool and a storage analysis reporter. This fully supports the consolidation process because the Storage Analysis Wizard will report on file usage, file duplication and file ownership. In fact, three scans can be performed. The first scans servers only. It is fast and can be used to report on server usage growth over time. The second scans servers and performs a summary volume scan. This identifies which users have the most files and which file types are the most popular in your network. The third is a low-level detailed scan that identifies duplicate files, unused files and obsolete files. It can be used in support of comprehensive storage cleanups. In addition, scans can be performed on a schedule to help track changes over time. One caveat: To perform scans, you need an account that has local administrative rights on the target servers. Also, since scanning can take time and consume resources, you can set up a scanning agent on the scanned server. This offloads scanning from the database server and can help speed it up. The Consolidator interface is clean and very easy to use (see Figure 2). The startup screen displays all the tools you need to support migrations and consolidations. The first tool is the Storage Analysis Wizard. 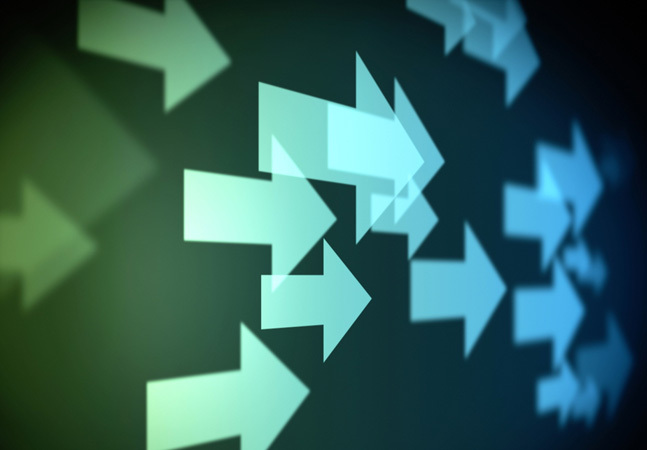 Once your data patterns have been analyzed, you can proceed to a migration/consolidation. Migrations are simple. Start the Data Migration Wizard, identify source and target servers, identify the RunAs account to be used for the migration, automatically deploy required agents (scanner agent on the source and replicator agent on the target), identify the source and target folders, identify file exclusions such as MP3 for example, identify how local group collisions should be managed, identify how shares should be migrated, identify how folder collisions should be managed, identify how folder synchronization should occur, set permission migrations, schedule the migration and save the migration. From then on, it will run either at scheduled intervals or it can be started manually. All migrations are saved in the My Migrations folder in Consolidator. Existing migrations can be copied or cloned to create other migrations. Print migrations are run in much the same way. Just run the Printer Migration Wizard. In addition to data and print migration, the Consolidator startup screen gives you immediate access to three utilities: Home Path Updater, Profile Updater and Printer Migration. The latter is the same as the Migrate Printers item in the center of the startup screen, odd. But the first two utilities are really useful. They support the update of user profiles to point to new home directories, remote profile paths, drive mappings, desktop shortcuts and even object linking and embedding (OLE) in Microsoft Office documents. Printer migrations are supported by a RegTool utility that allows you to change printer mappings on client computers through a logon script. One of the great aspects of this tool is that it allows you to test each migration before you perform it. This saves a lot of time and effort in debugging migration problems because it gives you details of what is wrong if you get an error. In addition, when you run scheduled migrations, Consolidator can send you email notifications of the results. In short, Consolidator worked very well and provided an easy path to migration and consolidation of both file and print servers. Some drawbacks are that it works only with home directories and does not seem to offer any direct support for folder redirection. The same goes for the Distributed File System; Consolidator supports the migration of drive mappings, but though it may support the modification of a user mapped drive to a DFS map, it is not immediately self-evident on how this should be done. Finally, printer migration is direct; that is, it migrates printers with existing drivers and does not change kernel mode printers to user mode. Nevertheless, these are new features of Windows Server 2003 and though Consolidator supports this edition of Windows, it does so in "legacy" mode, not in what we would call advanced mode. Consolidation Manager (CM) also works with two basic components: a central server that stores the migration database and hub servers that actually run the migration jobs. This distributed architecture gives you control over both the bandwidth used in your migration and the amount of processing power assigned to the migration process. You can also install only the migration console on multiple systems all targeting the same database server. This lets you control the delegation of migration tasks. Migrations are run as jobs (see Figure 3). You begin by defining a file synchronization migration job and run it. Then once the file synchronization job is run, you can run link update jobs. Jobs can be run in test mode so that you can see if it will actually work before you actually run it. Job creation is simple and works through a series of wizards. To create a file synchronization job, you begin by naming it. You can also determine if it is to run in test mode or not at this stage. One nice aspect of this interface is that you can always edit the job properties later to change it from test job to an actual job. That's simple enough. File synchronization jobs also include source and target servers, source and target shares, the schedule to use for synchronization, any scripts you need to add to the job, how to handle collisions, how to handle permissions, and how to work with local groups. Jobs can be set to run continuously or one a schedule; the latter can even include special times when jobs cannot run at all. This gives you a fine control over the synchronization. File synchronization jobs are transparent to users since you can run both the source and target server in parallel and update client components only when you're ready to decommission the source server. Consolidation Manager updates home directories and profile paths through the Domain Directory wizard. 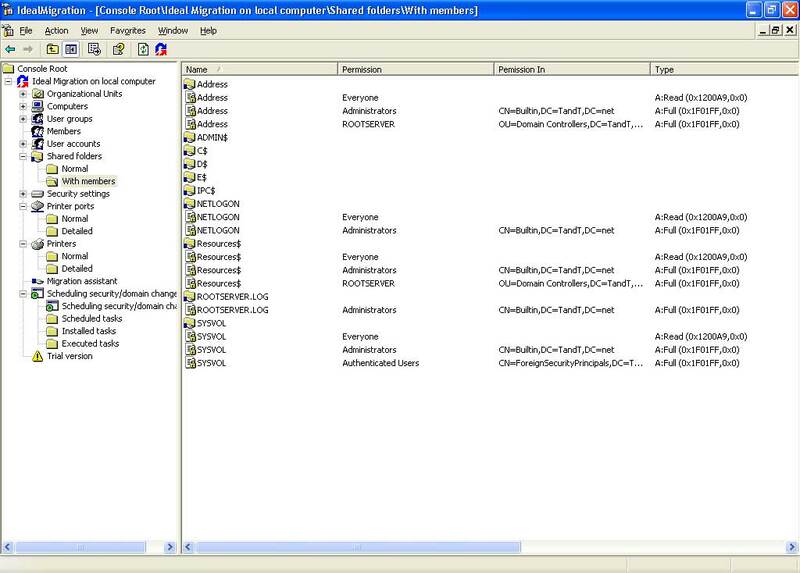 This wizard also updates shared folder and printer information in Active Directory domains. The Link Update wizard updates components that are located on member servers or client workstations such as OLE links in Microsoft Office files, shortcuts and mapped drives as well as printer references. Link Update jobs can be run either from the server or through the logon script. Printer migrations are run through the Printer Migration wizard, though this tool is hidden inside a menu rather than being directly available through the Consolidation Manager interface. Odd. Print migration jobs are comprehensive though. They include printer properties, drivers, ports, page separators, print forms, color profiles, and even jobs, though the latter do not work from NT boxes. In the current version, print migration does not update drivers from kernel mode to user mode as required by Windows Server 2003. This means that if you want the appropriate driver on your target server, you need to pre-install it before the migration and then make sure you do not migrate the driver from the source server. This will apparently be fixed in the next version which will update drivers properly and even support HP JetDirect printer port migration. Before you run a migration, you need to identify the status of both files and printers. To do so, you need to use the Enterprise Directory Reporter (EDR) since Consolidation Manager has no reporting capabilities of its own. This means another installation linked to a SQL database server, though you can use the same server as the Consolidation Manager. EDR provides very powerful reports on anything and everything in your network, even inventory data, but it may be overkill for a server consolidation job since you only need access to reports on file and print usage. Though this tool is really powerful, the file reports do not seem as complete as they could be, especially in terms of identifying what can or should be archived. Though the Consolidation Manager (CM) does most everything that is required for a migration or consolidation, it does not directly support Windows Server 2003's most advanced features such as folder redirection instead of home directories and DFS shares instead of mapped drives. Consolidation Manager can be used to target these features, but this means that you will need to write special scripts that you add to your file synchronization jobs. But, the advantage is that CM provides very powerful scripting support in either VB or Java script. Overall, CM is very easy to use and provides a very powerful file and printer migration toolkit. Secure Copy is different from both former tools. It is designed specifically for the migration of files and folders from source servers to target servers, and only that. Its installation is simple, using an MSI that provides two installation choices: complete or custom, yet in the custom option, there is only one component to choose. Odd. But once installed, Secure Copy is really easy to use. It offers a no-nonsense interface that gives you easy access to all the features (see Figure 4). Secure Copy also works with jobs. Job creation is a simple 1-2-3 step process: identify the source, identify the target, set your options and away you go. Options include what kind of files to copy, for example, only changed files; permission copying options such as resetting user passwords when accounts are migrated; file compression options; file share migration options; local group copying options; and file filters to use for copying. Secure Copy will automatically copy local groups and user accounts and even target specific organizational units in Active Directory during the copy. Copy jobs can be tested prior to the actual copy to ensure they will work properly. In addition, they can be scheduled. For this, Secure Copy seems to call upon the Windows Task Scheduler so this provides a familiar interface for scheduling to system administrators. One nice aspect of using jobs is that they are not enabled by default so you can create as many as you need and enable them as required. Secure Copy can also run from the command line, letting you set all of the copy options for a job in a batch file for future use, though this may not be really necessary since the graphical interface includes all the options found in the command line. One caveat: when migrating user accounts, Secure Copy will create them with null passwords unless you have set the password option for the job. Secure Copy cannot copy passwords from one location to another so it is important to make sure you set this option. Otherwise, secure copy does most everything that is required to transfer files with security settings from one server to another. It does not however provide any tool for the modification of user settings or file references on local computers. For this, you'll have to make your own scripts or batch files. It also doesn't migrate printers at all since it is a file copy tool. Finally, it doesn't include a reporting tool to help in the archiving of obsolete or unused data. But for file copying, Secure Copy performs as expected, making a server consolidation easy. If file copying is all you need, then Secure Copy may be the solution for you. Ideal Migration is really designed to manage all migration tasks from domain migration to user settings and passwords. It is a Microsoft Management Console that is installable on all versions of Windows NT from 3.51 on to Windows 2000, XP and Server 2003 (see Figure 5). As such, it fully supports the concept of migration delegation. It is simple to install, but does not use an MSI installation. Its migration strategy is simple, export data and objects from one location and import into another location. Migrations can be performed by selecting the objects to migrate in the left pane, right-clicking on the object and selecting the object type migration from the context menu. In the migration properties dialog box, identify the source or export server, then identify the target or import server. Objects are migrated with complete security settings. Migrations are performed by exporting data to a comma separated value (CSV) file then imported from there. To perform file server migrations, you must first perform a shared folder migration, and then perform a file and folder migration, though these can be grouped together in one step. Migration properties can be stored into project files that can be run at a later time through either scheduled tasks or through the command line. This gives Ideal Migration a lot of flexibility. Printer migrations are performed in the same way as file and shared folder migrations. Simply point and click. But there are caveats: printer driver migrations must be from the same operating system to the same operating system — for example, NT to NT or 2000 to 2000 — otherwise, they must be installed manually beforehand. If you want to perform more than one migration step at once, use the Ideal Migration Wizard to select the objects to migrate, configure each component and store it into a migration project file. Ideal Migration supports undoable migrations by simply running the migration in reverse, restoring the objects the way they were before migration. Client agents modify all client settings to point to the new environment. The main failing of Ideal Migration is that it does not include reporting tools. So in the event of any type of migration, you can't see what to eliminate from your migration, for example, sending unused files to archived storage. Otherwise, it is really easy to use for all the object type migrations it supports. It may, however, be overkill if all you need is to perform a file and print migration. But if you need to migrate more than just file and print, it may be the right solution for you. AgileOne is a unique product in this selection of tools. That's because it is really an extension of Microsoft's Automated Deployment Services (ADS) — an enterprise server deployment system. This limits AgileOne's accessibility since ADS is only available to organizations that have volume license agreements with Microsoft, so small shops will not be able to profit from the ADS/AgileOne combination. But, if you have enterprise licenses of Microsoft operating systems, AgileOne may well be the right solution. That's because ADS provides a complete set of tools that facilitates the server provisioning process in any datacenter. It lets you capture base server installations and redeploy them from a central location. It will even let you provision servers that have nothing installed on them, all from a remote location! ADS is very powerful, but it relies heavily on command lines and XML scripts. That's where AgileOne fits in. AgileOne is an ADS add-on that provides a simple-to-use Web-based graphical interface to most ADS commands (see Figure 6). But it doesn't only do that. In terms of file servers, AgileOne will let you capture a file server's "profile" and restore it to any other server in your enterprise. This means that AgileOne supports both file server migration and consolidation, all through a point and click Web interface. Very nifty. AgileOne also provides three additional functions: graphical interface to ADS, ADS process automation, and graphical server provisioning extensions. In terms of Automated Deployment Services, AgileOne provides graphical functionality for most ADS commands, including server discovery, image capture, and image deployment. Second, it automates most tasks you would need to perform manually with ADS (for example, the installation of the System Preparation tools on remote servers). In addition, AgileOne automatically deploys the ADS agents during its server discovery process. AgileOne also will let you schedule ADS jobs for later processing and pause jobs such as image captures. This gives you better control over bandwidth management because you can now schedule jobs to run in offload times and stop them if they run over into high-production time slots. For file server migration, AgileOne supports server personality transfers. That's because AgileOne is designed to work with server roles that are assigned after the operating system has been installed. AgileOne lets you capture and transfer file server settings, even settings based on Distributed File Services. This means that it supports both server transfers and server consolidation because it will even emulate the legacy server's NetBIOS name on the target server to ensure that users do not lose file access during the transfer. Very powerful indeed. In addition, AgileOne's Solution Builder can let you add your own personality transfers to the AgileOne console. For example, you could use Solution Builder to create a transfer process for printers. This requires some .NET programming ability and the use of Microsoft Visio. That's because Solution Builder adds extensions to Visio to help you add server-provisioning workflows. This is not for the light-hearted though as it requires considerable programming skill. In terms of printer migrations, it may be best to wait for Consera — which was recently purchased by HP by the way — to create and distribute a new workflow. One of the neat features of AgileOne is the automatic reversal of all operations in the case of an error. This ensures the constant availability of the services being migrated. This tool does not currently cover all aspects of a file and print server migration, but if you have elected to use Microsoft's Automated Deployment Services, then AgileOne should be part of your arsenal because it vastly simplifies the management of hundreds of servers in any datacenter. Table 1. You can use the information here to identify which tool best suits your needs. Each manufacturer has had an opportunity to review and comment on their rating in the table. File and print server migrations are an essential component of any server operating system upgrade. As you can see, several tools are available to help you perform these migrations. At worse, you can use NT Backup to backup the file services from your legacy servers and restore them to your new server, then use Microsoft's Security Migration Editor, which is free with Windows Server 2003, to perform SID regeneration on your files. You can also use Microsoft's Print Migrator 3.1 (see "Additional Information") to capture printer information from legacy servers and restore it to new Windows 2003 machines. What's nice about this tool is that it will automatically change LPR printer ports to the new TCP/IP standard port supported by Windows Server. In addition, it will automatically change printer drivers from kernel mode (version 2) to user mode (version 3) during the transfer, something none of the commercial tools perform yet. At the very least, you should use this tool to backup all your printer configurations. This way you can restore them in the case of an emergency. Microsoft Print Migrator version 3.1: http://www.microsoft.com/downloads/details.aspx? As far as commercial tools are concerned, none fully support the new file management concepts that are included in Windows 2003. Quest Consolidator seems to offer the most features for the price. 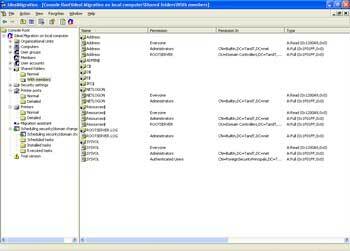 It provides very comprehensive file usage analysis and is the only one that seems to do so. So if you want to migrate both file servers and printers, this may well be the best tool to choose. Aelita Consolidation Manager performs all of the operations supported by Quest Consolidator, but requires the Enterprise Directory Reporter to generate pre-migration reports. This makes it a very expensive migration solution, though in the end, if you choose this combination, you will have a very powerful reporting solution. On the other hand, if you have Novell servers, this may be the solution to use since it supports Novell as a source OS. ScriptLogic Secure Copy also provides an easy solution for file migration, but would have to be combined with scripts to modify user settings as well as Microsoft's Print Migrator to support the migration of printers. PointDev's Ideal Migration is really easy to use and works with most any Windows platform, but may be overkill if file and print server migration is all you need. It is also lacking in reporting capabilities. Consera AgileOne is a great tool, but its reliance on Microsoft's Automated Deployment Services makes it out of reach for many smaller shops. So if you want to take the simplest route to migrate your file and print servers, you should choose Quest Migrator. It has some failings right now, but these will probably be addressed in later editions. In short, it provides the best all around migration solution of all the tools reviewed here.